European Referendum – The TIPPing Point. The time has finally arrived. Its not been an easy decision. I can see good points on both sides. Emotionally, politically and socially I am inclined towards a pro-EU position. At the last referendum in 1974 as a 12 year old I was opposed but then I left the Labour party and joined the SDP partly because I listened to David Owen, Roy Jenkins and accepted their pro-EU positions. Today I see that David Cameron, Hilary Clinton, Jeremy Corbyn, all the Scottish political leaders, most of big business, the BBC, and President Obama are all opposed to Britain leaving the EU. The case for staying in the EU is strong, but in a world of soundbites and political celebrity endorsements it appears as though facts and reasonable arguments are hard to come by. So for a number of weeks I have been trying to find out as much as I could before finally making up my mind. What I have discovered has astounded me – and also disturbed me how little of this information is actually being discussed in the public square. What follows is my own personal opinion and understanding of the facts that I have managed to find. It is not the opinion of Solas or the Free Church, and I am not claiming that it is what God says. Indeed one of the more bizarre things that this EU referendum has thrown up is that the Church of Scotland has an official position on the EU. Quite how the Church of Scotland feels able to tell us that God is for the EU but against the teaching of Jesus on marriage, is something I don’t quite grasp! The Case for Remaining in the EU. 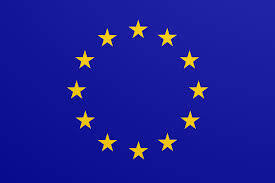 Peace – The EU has been a source of security, peace and prosperity for many years. After centuries of wars in Europe, and the two world wars of the 20th Century beginning there, it is noticeable that there has been peace in Europe for the past 70 years. The EU is surely a significant factor in that. Furthermore the EU provides us with more security against Islamic terrorism. Prosperity – The EU has been a source of economic prosperity for all within. If Britain were to leave the Treasury estimate that it would cost each family £4,300 per annum by the year 2030. That is a massive hole left in most budgets. Plus 3 million jobs in the UK are dependent on being in the EU. Influence – The EU is one of the major trading blocks in the world and therefore one of the major political powers. Britain is a key part of the EU and so gets to have a stronger say in world affairs. As someone once said we are ‘better together’! The Case for Leaving; given the above can there be any case for leaving? Lets look at the same subjects and I will ‘score them’. Some more facts. 79% of business activity in the UK is internal. 11% of our GDP is with the rest of the world (and increasing) only 10% with the EU (decreasing). No one believes that this trade would cease. The EU is a declining market – from 36% of the worlds GDP in 1973 (when we joined) to 17% now. The EU determines who we trade with elsewhere in the world and on what terms, because individual countries are not allowed to do so. Note this simple point – for the sake of 10% of our business we have to apply 100% of EU rules to 100% of our business. Score: This one is a draw for the Inners in the short term and a win for the Outers in the long term. Most of the stories of economic decline seem to be scare stories put out by those who have a vested personal and corporate interest in keeping the EU gravy train rolling. What about the farmers who currently receive £2.9 billion in EU subsidies – some 55% of their income? Indeed. Britain puts in over £4.9 billion so we could pay the farmers and have plenty left for the NHS! Score: A win for the Outers. 4) Influence: This seems a no brainer. You can’t influence something if you are not in it (although that doesn’t seem to have stopped President Obama trying!). But just how influential is Britain? The Americans want us in because they see us as their insider representatives. The American poodle Britain) was able to get Europe to take a strong stance on the Ukraine for example. But in reality our influence is very limited. We have been outvoted 40 times in the past five years and we only have 3.6% of EU Commissioners. In fact we have voted 70 times against proposed EU legislation and we have lost 70 times. Some influence! David Cameron’s EU renegoiations got almost nothing. As regards influence we now have no vote and no voice in the vital World Trade Organisation – where instead we are represented as one 28th of the EU by a Swedish sociology lecturer! Score: A win for the Outers. Britain’s influence in the EU would self-evidently decline, but I suspect that it would increase in the rest of the world. Corruption – Corruption is rife within the EU. 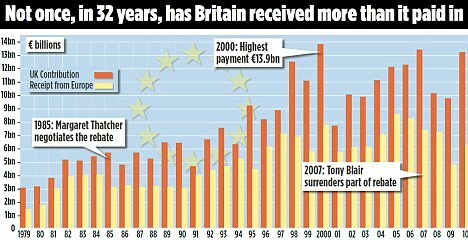 The EU accounts have not been properly signed off for 19 years – As recorded here in the Telegraph. More than a thousand EU officials earn more money than David Cameron. All officials working for EU institutions are exempt from national taxation – they pay a flat rate of 21%. Whatever happened to our high earners having to pay 45%? Don’t even get started on their pensions! The Euro gravy train is not a myth. But its not just about officials – its about how democracy is conducted. The EU is a lobbyist’s paradise. There are 25,000 of them in Brussels. The EU hands out largesse to organisations which then unsurprisingly support them. So for example I was told that several large NGO’s supported Britain in the EU. That’s interesting I thought, independent Non – Governmental Organisations must have good reason for so doing. Indeed they do. Action Aid, the NSPCC, One World Action and Oxfam received over 43 million Euros between them from the EU. Little wonder that these ‘independent’ charities support the EU. Likewise the Confederation of British Industry have received one million Euros, and British Universities have received almost 900 million. It is little wonder that they are all enthusiastic campaigners for staying in. The whole system is corrupt to the core. One more example. The EU is so corrupt that the Commissioners feel free to ignore its own major rules, whilst imposing the smallest of them on every small business. Article 125 of the EU treaty states “‘The Union shall not be liable for, or assume the commitments of, central governments, regional, local or other public authorities, other bodies governed by public law, or public undertakings of any Member State.’ Angela Merkel went on to declare in 2010 “‘We have a Treaty under which there is no possibility of paying to bail out states.’” And yet that is precisely what happened. The European political system is based on a lie. Apparently this is ok for the current President. ‘When it becomes serious you have to lie.’ —J(EAN-CLAUDE JUNCKER Luxembourg prime minister 1995–2013 and president of the European Commission 2014– , 20 April 2011). Perhaps the cynic might observe that British politicians lie to – but at least we can vote out our liars! But lets come on to point six. Doesn’t President Obama’s intervention make a difference? Yes it does. I was swaying towards ‘leave’; Obama’s intervention has tipped me over the edge. Here’s why. His intervention is enormously significant – not because his points have any substance (as we shall see), but because of the fact that he made them at all. Such a direct intervention in another countries internal politics is almost unprecedented. Why did he do it? I was amazed at how many people were naïve enough to say that ‘he’s just expressing his opinion and everyone is entitled to do that’. No. He is the President of the USA and his concern is with the USA. He was not doing David Cameron a favour; he was looking after his own and his countries interests. There are two reasons why it is important to America that Britain remains in the EU. Firstly we are America’s voice in the EU. America says ‘jump’, and we ask ‘how high?’. The ‘special’ relationship has become a subservient one. Obama came as the Master to threaten us and tell us what to do. I think this wee Hugh Grant clip sums it up quite well! “Our focus is in negotiating with a big bloc, the European Union, to get a trade agreement”. I am astonished that so few of our media picked up on the main issue here. They have presented it as though we already have a trade agreement with the US (at least through the EU) and they regard President Obama’s threat as somehow substantial. Anyone reading the papers or watching the BBC would think, ‘oh no, the Americans will withdraw from trading with us and we will all be worse off’. The only problem is that we currently don’t have a trade agreement with the US, and we NEVER have! And yet trade goes on. We have lasted 60 years without one – and we will continue to trade without one. If we are at the back of the queue for a TTIP style agreement, so what? (By the way could you tell me when a US president ever used the word ‘queue’? It couldn’t be that Obama was using words drafted for him by the British government? Or is that being too cynical?). Obama is now in Berlin trying to sell this deal to the German people. It is clearly very important to him – and to the American political and economic establishment? Why? but it is backed up by other sources – this is something I have been watching for a few years and along with others trying to raise awareness of the drastic implications). TTIP’s ‘regulatory convergence’ agenda will seek to bring EU standards on food safety and the environment closer to those of the US. But US regulations are much less strict, with 70 per cent of all processed foods sold in US supermarkets now containing genetically modified ingredients. By contrast, the EU allows virtually no GM foods. The US also has far laxer restrictions on the use of pesticides. It also uses growth hormones in its beef that are restricted in Europe due to links to cancer. US farmers have tried to have these restrictions lifted repeatedly in the past through the World Trade Organisation and it is likely that they will use TTIP to do so again. My view is that the Inners will win. They have all the resources of government propaganda (the £9 million tax payer funded leaflet being only one example), they have most of big business and they have the vested interests. Most of all they will win because of Project Fear. Watch out for a series of reports/studies/deceits telling us that mortgages will go through the roof, terrorists will run amok and the sky will fall in. The kind of deceit that David Cameron practiced when he promised that he would advocate leaving if he did not get a substantial changed deal and yet when he got nothing (what Boris Johnson described as ‘two thirds of diddely squat’) he pretended it was something, and hoped that no-one would notice!). I think another reason that they will win is the compliant one party state type politics that exists, at least in Scotland. I don’t mean by this that the SNP are a one party state, but that there is a general narrative amongst the governing elites which means that anyone who questions the EU is considered ‘not one of us’. People so easily buy into myths that are spread – such as ‘the Scottish people’ are opposed to leaving the EU and it is only UKIP type Little Englanders who want to do so. Sadly Scottish politics has become much more about this, than it is about actual policies and their impacts. Lets just examine the political parties stances on this. The SNP – I am still waiting for someone, anyone in the SNP to explain why they want to be independent from Westminster control (an aim I share) and yet under Brussels control. ‘We will have a seat at the table as an independent nation’ they opine, before going on to say that Britain would have no influence in the world as a much larger independent nation. Scotland has far more say in the democratically elected United Kingdom parliament, than it ever will in the EU. A Scottish Commissioner (if we were ever accepted) will have almost no influence or say at all). And why are the SNP supporting TTIP? Former SNP leader Gordon Wilson has a far more interesting and balanced viewpoint – but I suspect it is a view which would get him deselected in todays SNP! Some accuse the SNP of being Stalinesque in terms of their party organization and discipline. That accusation is given substance by the fact that so far not one SNP MP or MSP has spoken out against the EU. Not one. I know many SNP supporters who will vote out (I am one of them), but within the party itself, no discussion is permitted, no dissent. All and one, and one is all. The Tories – Most Conservative party members, and probably most MP’s are opposed. Cameron was genuinely shocked (and furious) when Michael Gove and Boris Johnson came out as Outers. By far the best thing I have read on this subject comes from an intelligent, somewhat maverick Tory (whom I often disagree with), Daniel Hannan. In Scotland of course our right on, mega hip, totally cool, wanna be opposition, Tory leader Ruth Davidson is of course an Inner. At least the Tories in Scotland allow people to disagree. UKIP – I suppose we have to say something about UKIP. Of course their raison d’etre is to leave. But in Scotland they are irrelevant – mainly because their leader David Coburn is such a caricature that he makes Donald Trump seem real. If UKIP were the reason for leaving, I would be a total Inner! The Greens – Actually have some interesting views and policies on Europe. Not least because they argue against free trade and for real subsidiarity. But because they want to stay in, then it is unlikely that their policies will ever be put into practice. As a democrat – I hope that we leave the EU. Democracy is not perfect, but it is the best system of government we have. An ever-decreasing British democracy combined with an ever-increasing Euro-technocracy, will be a disaster for freedom. Because I want democratic Europe and not corporate Europe, I will be voting out. In my view any socialist, liberal, conservative, nationalist, green democrat should vote to leave. Only those who believe in a corporate European state, run by and for the big corporations, and are prepared to hand our NHS over to those corporations, should vote to remain. As a Scot – I want my country to be governed by those who live here, and by those who can be voted out of power. So I will vote leave. As a European – I want a Europe of peace, prosperity, trade, diversity. I believe that the EU by seeking to create a Euro Super State will ultimately destroy what is good about Europe. I don’t want to belong to a world power, or a giant trading bloc. I want to belong to a Europe where diversity and difference are celebrated. 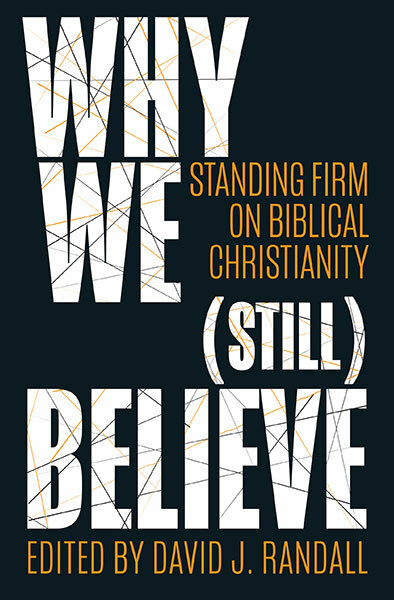 As a Christian – I don’t know what God wants. To him the nations are as a drop in the bucket. I pray for kings, politicians, bureaucrats and all in authority, that we may live peaceable and godly lives. I pray for a renewal of Christian Europe, whatever the outward system of government – and I will work with the biggest, most radical and most diverse organization within Europe (the church) to achieve that. Without righteousness Europe will never prosper and never know peace. Lord, have mercy. If you have managed to read this far and still want more I would recommend the following two articles from The Spectator which are fascinating. I have read many articles and a few books on this issue. 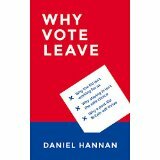 If you only have time to read one I would strongly suggest – Daniel Hannan’s ‘Why Vote Leave?’. A footnote: I have received an enormous reaction to this blog. Thanks to those of you who have found it helpful and to those who have corrected my errors. Perhaps I could offer a word of advice to those who seem emotionally committed to staying in the EU? It does not help to name call and attack people – I don’t care about Farage, or Gove, or Hannan – I care about their arguments and the facts. Some of the responses I have received from Inners have been thoughtful, reasoned and helpful. But far too many have been abusive, ignorant and at times ridiculous. There have been some extraordinary claims – we won’t be allowed to trade with anyone, or enter Eurovision, or send missionaries to France! For me the most incredible have been the claims that the EU Commission is more democratic than the UK parliament, that it has no more power than the British civil service and that TTIP is an open and democratic negotiation. These things make me despair of the level of political discourse in this country. It seems as though people take a position and then become emotionally committed to it and just filter out anything that disagrees with it, and then accept everything that agrees. I realise of course I face the same danger – which is why I have taken so long reading and thinking before writing this blog. Of course I could be wrong….and I hope I am open to persuasion. But I need facts, reasons and logic – not just emotive soundbites or ad hominem abuse of others. If you want an example of the way that EU propaganda works I was sent this invite to a meeting for impartial and authoritative advice on the EU – hosted by organisations who are all funded by the EU – complete with EU flag invite! David have you used the EU Internet site for information? a. “This is false. The European Court of Auditors gave a clean bill of health on our 2013 accounting books, for the seventh time in a row. This means every euro spent from the EU budget was duly recorded in the books and accounted for. 2. WHERE DOES THE ERROR RATE THE COURT IS CONSTANTLY REPORTING COME FROM? a. When it comes to payments, the Court can confirm that the EU spending was in line with the rules only when the error rate is less than 2%. The Commission is working to move closer to this 2% threshold. b. In the past years the Commission managed to keep the ERROR RATE UNDER 5%. In other words, out of every 100 euro spent by the EU, at least 95 euro was free from error. While this is not enough to get the Court of Auditors’ positive opinion, it does indicate the very high standard of management and control applied to taxpayers’ money at EU level. 1. As 80 % of the EU budget is managed by national or regional governments, Member States also play an important role in ensuring that rules are observed, and in detecting and addressing irregularities and fraud. Errors do not mean that EU money is lost, wasted or affected by fraud. A large part of the money spent in error is recovered. In the UK. Fraud and error costs the UK government an estimated £30bn every year. Fraud alone amounts to more than £20bn. Nearly £10bn goes missing as a result of administrative errors. This adds up to more than £1,000 for every British taxpayer. Fraud and error losses in the UK are equivalent to MORE THAN FIVE PER CENT of government receipts. This is worse than the EU accounts. Yes – I have used it and numerous other EU sites. To say that they are unreliable is an understatement – they make Pravda look truthful! I would suggest using a variety of sources. I probably come from a similar viewpoint as you and can see advantages in staying in the EU and advantages in staying out. TTIP is a big concern however am tending towards a different response. On our own I think that it is inevitable that our government in London would sign up to TTIP (or a similar deal), this may take a decade to negotiate once we are out of the EU but such agreements (and the resultant de-regulation and weakening of protections for people like you and me) are part of the philosophy of a Conservative view (and too some in the Labour party). During the current negotiations (which done although on an EU level involves all the member governments – including ours) we have heard no objections to TTIP coming from London which suggests that our government is more than happy to go along with. If we remain in the EU all of the member governments have to agree to the trade deal. As mentioned ours seems likely to enthusiastically nod it through. The French government on the other hand is already hinting that they may block the deal (http://www.bbc.co.uk/news/world-europe-36191577). The idea of relying on a foreign government to achieve the result you want in this country might not sit easily and may raise questions about how democracy works but I am willing to overlook those issues if it gets results. Leave the EU and we will probably end up in something like TTIP. Stay in and there is a chance it will be blocked. As both a crofter and employee of a large multinational I have much more confidence in Paris or Rome fighting to look after small farmers and to protect the safety and health of employees than I do of London. Ideally, of course, we would have our own government that could be trusted on its own to put its people first, but for the moment we don’t. Tim, thanks for this helpful contribution. There is one key issue that you are missing though – we can vote our government out or in, we cannot do that with the EU commission. there is no chance in my view, of TTip being rejected by the EU. Whilst the Treasury’s EU Impact Analysis Report is nothing like as bad as Dave’s Dodgy Dossier which has come through everyone front door, it hasvery clearly been written to an agenda, as you say mixing apples and pears to make the points the Government wants to make. Thankfully the various Fact Checker websites (BBC, Channel 4, Telegraph etc.) appear to have done a reasonable job in pointing out the immediate errors and flaws. However, there is one major problem with the Treasury document which appears to have been missed by most commentators. It is perfectly fair to say that, on average and when taken as a whole, immigrants contribute in taxes as much as they enjoy in public services. In fact, some calculations show that they contribute slightly more. But all these figures are based upon current account. The argument that immigrants are social security scroungers is not only untrue but repugnant. There is the whole debate about immigrant remittances to their families overseas and the effect this has on the UK economy but that is another debate completely. What is missing from the Treasury’s calculations and assessment is the capital cost of dealing with immigration. This is the cost of providing housing, schools, hospitals, water, sewage treatment, roads, and transport to name but a few. Each year the UK has to build public infrastructure equivalent to the size of the city of Leicester to cater for inward immigration. If you assume the capital cost at £75,000 per person (£300,000 for a family of four), then the state has to borrow £22.5 billion to provide infrastructure for 300,000 new people arriving in the UK, and will have to do this each and every year that we are a member of the EU and have to abide by the principle of free movement of labour. The interest on this £22.5bn is £562.5 million per year (assuming an interest rate of 2.5% – which is the long term average of UK interest rates). Using the same 26.7 million households as the Treasury, then this means that the interest cost is just a mere £21.00 per household per year. But this has to be paid every year. If you gross up these £21 per household per year for the same15 years as the Treasury has done, then the total interest cost per household is £2,840 which is about just under 70% of the £4,200 cost the Treasury estimates we are all going to be poorer in 15 years’ time if we Brexit. However, our National Debt will be £337.5bn higher, an increase of 21.6% above £1.56 trillion the UK is borrowing today. If the EU had supported its free movement of labour policy with a fund which allowed for money to follow people, so as to pay for the infrastructure, as so many people have argued, then I for one would find it much harder to argue to leave the EU, for the only issue then outstanding would be the democratic deficit. But, there would be no democratic deficit if the EU listened and acted with appropriate policies on the genuine concerns of the peoples of this Island. Instead, continuously over the last 10 years the EU commission has refused to entertain such an idea. It is worth comparing this idea of a Free Movement of Labour Structure Fund to the Common Agricultural Policy which takes 39% of its budget yet this sector accounts for only 1.5% of the EU’s GDP, and it only employs 5.4% of the total population; or to the Common Fisheries Policy which has killed off the UK fishing fleet whilst its CFP Fund goes to subsidising the fishing fleets of Spain etc. The repugnant and illegal deal brokered by Angela Merkel, Jean-Claude Jancker, President of the EU Commission and Turkish President Erdogan for the repatriation of refugees from the EU back to Turkey highlights the democratic deficit. There is logic to Jancker and Erdogan being in the negotiations but why is Merkel representing the whole of the EU? Where is her democratic authority to represent 504 million people? She had none, but these people have just spent €6 billion of your and my money and struck a fundamentally illegal deal. As I say in my essay on ‘The European Union, the refugee crises and Turkey’, this deal reminded me of the dreadful trade of human cargo of Nazi Germany and the railway sidings of Birkenau death camp. At the end of the Second World War, the UK repatriated thousands of Poles back to Poland, at the insistence of Stalin, for them to meet dreadful deaths in his Gulag’s. It appears that those who lead the EU have learned nothing from our very recent history. Who is making sure that the EU is not repatriating any Iraqi Kurds because their chances in Erdogan’s Turkey are pretty damn slim? It makes me so damn angry. This year the UK is going to be fined by the EU Commission €400m for breaching air quality laws. Laws which the UK can’t possible meet because we are such a densely populated country with a high proportion of diesel engine cars. These have a much higher poisonous nitrous-oxide and particulate output than a petrol car. It is estimated that around 40,000 people die each year in this country from bad air quality. We have to remember is the was the EU’s obsession for lower CO² output which caused them to promote diesel engines above petrol. What we know also know is that it the EU Comitology committee (See democratic deficit video at https://youtu.be/wPP1k8mNSYs), which is responsible for setting car standards, came under intense lobbying pressure from the car industry to set emission testing standards which were nothing like what happens when a car is driven. The discovery of VW’s emission testing defeat devise is only a small part of a scandal which goes to the heart of the EU. One of the most frightening aspect of the EU is its determination to have its own military. How can this be a good idea, especially when it will be reporting to a bunch of unelected oligarchs? Do we really want to put our children and grandchildren at risk of being called up to fight in such an army? It is one throw from the EU becoming a military dictatorship like Egypt, Greece, Burma (now called Myanmar). Welcome back Napoleon! Since time immemorial, people have been prepared to sacrifice democracy for economic gain. It is what brought Stalin to power in Russia and Hitler to power in Germany. It was what allowed Putin to remain in power in Russia whilst he seized back dictatorial type powers and took control of its media. It is why the UK was prepared to cede sovereignty to the EU in 1972. This is all well and good until things go wrong, as they did with Hitler, Stalin, Putin and now in the EU, when the peoples find out that they cannot remove from power those that are doing them harm. Except now in the UK when we have once in a life time opportunity. Sound arguments , well thought out and reasoned Charles Bunker. the only problem being with both yourself and theweeflea, are that these well presented thesis are hidden away on the internet and not readily available to the people that matter, the voter. Surely there is a reputable daily national newspaper with leanings to the truth of the matter, that would consider donating space to reproduce these arguments to the general public.,Thereby offering the nation a better informed choice of the facts involved and not have them force fed the twisted facts and outright scaremongering lies of self serving politicians.those who see an end to their supply of champagne and caviar. .One thing that stands out like a sore thumb to the likes of myself and thousands of other ex servicemen is the governments never ending depletion of our armed forces. This ,in my eyes is nothing short of treasonous behaviour by the government prior to handing over what remains of our once proud forces to European control ., which if im not mistaken will then be marched off to confront the Russian forces. along the new Polish /Balkan borders of Nato. Something which Gorbachev warned the west not to even consider when overseeing the collapse of the communist bloc countries.History????? thats not for us , thats for old fashioned fools that live in the past. The only way is OUT!. Michael – thanks – actually the internet is a good way of getting info out. For example this article has been read over 70,000 times – which is more than the circulation of some newspapers….all you have to do is pass it around! Good stuff. BUT I passionately disagree with the idea that the EU has kept the peace.When it was simply a community of nations yes. BUT since it became the EU in 1992 and the line was crossed into supra-nationalism the EU has not been a cooperative structure. It has been integrationist. Well, I firmly believe that you should never go into business with your friends -if you want to stay friends; or indeed move in with your neighbours. What we have seen especially since Lisbon is that the the EU has been increasingly responsible for the divisions it always claimed to prevent. The politics of integration have got in the way of the cooperation. I say this as someone who lives in the Czech Republic and sees how little say a small nation really has. The divisions and resentment that are being created by the integration at all costs methods of Brussels are the seeds of the next European conflict. Compulsion is already present in qualified majority voting and it will only get worse. I won’t even begin to talk about how the north south divide that the Euro has exaggerated is creating deep tension. After all, it is obvious that if a people feel impotent and beholden to others to improve their life they will get more angry. In short peace is in great danger BECAUSE of the EU. No good will come of this project and the UK has a chance to perhaps stop it with a mere vote. VOTELEAVE. What a brilliant way of putting it – “Don’t go into business with your friends”. As an accountant (now retired) the number of business partnerships that floundered because they were based on friendship more than a sound professional relationship was alarming. You are absolutely right about the prospects of war amongst the western powers soon. It grieves me that so few people are prepared to acknowledge it. There is a regrettable determination to refuse to learn from the lessons of history, – mainly but not exclusively in the pro-EU camp. But I did check it with full fact and they said there were significant problems with the accounts for each of the 19 years. There is also quite a difference between getting something wrong and telling a lie – but I guess if your aim is just to debunk and insult that difference is not too important to you! “The UK is paying more than it is receiving from the EU…” This is not taking into account the many many Europeans in our nation that are paying taxes. I have moved to the UK from Belgium 6 years ago and I pay over £40,000.00 taxes and VAT as a self-employed contractor on a yearly basis. Not every European immigrant is costing the UK money as I do not get tax credits nor do I get child benefits. I would strongly urge to consider the facts from bottom-up, as it is often the actual immigrant that makes the difference. While I do not claim everyone is here to work and contribute, I can confirm I am not the only one to make a living and to contribute to society. Moreover, Brexit would lead to a stop or limitation of skilled immigration and would in the long run lead to a decrease in immigration-sourced taxes. Hi Conrad – the same of course works the other way – the many Brits who pay taxes in other EU countries. And of course I am not arguing that immigrants do not make a contribution to society. I am actually for more immigration into this country – from Europe and all over the world. There is no reason that Brexit should lead to a stop or limitation of skilled immigration, is there? I agree, all that a leave would mean for England is that we would be able to cherry pick the immigrants we actually want. We would have freedom to operate a border similar to Australia or America where if you have something to offer and viable means to support yourself you will be welcomed. An interesting piece but for me, in general and as a fellow Scot, however, your piece like many others on the subject does not start with the singly most important item in the whole debate, SOVEREIGNTY. Yes you address various elements that relate to our loss of Sovereignty but why note put your country, as a whole, front and centre of your argument. When Tony Bliar ratified, (yes yes I am aware Brown signed it, a day late), the Lisbon Treaty and refused the British public a referendum on the subject saying he was only “crossing T’s and dotting the i’s” he was actually approving the removal of our Sovereignty. The Lisbon Treaty clearly states that “EU law has supremacy over nation state law” and we have seen much proof of that since the treaty was signed. Once we regain our Sovereignty we can deal with all other matters including, as you mention above, the removal of those who seek to remove our democracy through lies and deception, i.e. Cameron and all those in our political elite who for their own treasonous reasons wish us to remain, just as Heath lied when he took us into the EEC (sic) like Wilson and Callaghan lied in the 1975 referendum. Time to take back the Sovereignty of the United Kingdom. ASIDE; you mention the FACT that no SNP politician will answer the question on wishing independence but in the same breath vehemently dismissing those who dare to question their reasons for wishing to be part of the EU who will then (under EU treaty law) control every aspect of their lives – where is the freedom in that. So, given none of the SNP politicians will answer the question, I ask any SNP reader to boldy defend the indefensible position of the leadership..?? Thank you for taking the time to put down what you have learnt. I am not very political but value my right to vote and take it seriously. There is normally so much information around when we are getting ready to vote in a a new goverment that it’s in your face all the time so if you want to know more you can easily get your hands on many sides, this doesn’t just apply here in the UK look at America, it’s hard not to follow/escape Clinton, Trump and the others. So with this upcoming vote why has it been so hard? There isn’t two party’s telling us why they should win, so how can I choose how to vote? For the last few weeks I have been getting more concerned as the information I need hasn’t been given, except for the stay in or the UK will be bankrupt and bombed message. Luckily I don’t give in to gossip and Chinese wispers in any part of my life but want the hard facts. My gut from the beginning has been to leave the EU, thinking about the small things, like when we were told that we can’t have pints ( although pint glasses are made in France) which is part of our heritage, then I moved on to big things like how much money we give. During the day I will think of something and wonder how it would be affected if we leave, jobs, price of food, petrol, travel and many more. Sometimes I felt worried and started to think ” stick with what you know”, but each time when I thought it through the negative turned positive to leave. After reading your well constructed article I realise I feel at easy with my decision to be an outer. Again I thank you for putting the facts out there, I didn’t think I would read it all when I saw how much there was but I am proud too say I did and happy that I feel I have learnt much more than I expected, I am sad though that there are so many other back handed agendas at play within the different countries. My question is, If we leave will Multinationals (like Honda in Sunderland) really be less likely to invest in Britain, since they will no longer have free access to the EU? Why won’t they have access ? It depends entirely on the terms of trade that will be agreed post Brexit. Whether we are in the Single Market or EFTA after Brexit (and we obviously will be in one or the other) will make no difference to the UK’s ability to trade with EU member states. Those are the facts, whatever the Remain camp may wish people to believe – unless you subscribe to the theory that Osborne has put forward (in his £4300 worse off dossier), namely that a Britain outside the EU would not be able to trade with anyone because noone would wish to trade with the 5th largest trading nation in the world, – a notion which I find laughable. Andrew, I didn’t say they wouldn’t have access, I said they wouldn’t have FREE access. The EU applies tariffs to non EU countries, that is a fact. Many foreign companies are insinuating that they may reduce investment if Brexit happens, my question is – Will this actually happen or are they just toeing the government line and spreading scare stories. Companies insinuating, mmm!, I think they are concerned with one thing and that’s the bottom line. Of course we will be able to trade in the event of a brexit, but under what conditions, with what tariffs. Germany, Spain, France, Slovakia, Poland etc might be very happy to keep cheaper Hondas away from their car manufacturers. Trade agreements take a long time to sort out and the EU might not be in any great hurry, in the meantime, Honda and the many will be reviewing their investment policies. FDI has already showed signs of slowing because of the uncertainty. It is also worth noting that the UK deficit is held up ONLY by FDI, not because we produce enough goods and services. If the deficit gets too bad following a brexit, the options for the Chancellor are only painful, especially for the less well off. Yes – the EU did a good job of preserving us from the last recession! Why would BMW not want to sell cars in Britain (their biggest market!)? The fact is that the EU is a club for the well off, for the haves and not the have nots. Staying in will only harm the less well off. Fair comment, David. You’re absolutely right that the European Union is more of an exclusive customs union than a free trade area, and that’s an important distinction for those who continually bat on about us being in a “Free Trade Area” of 1/2 billion people. All EU members are automatically excluded from trading on their own terms with the other nearly 7 billion people in the rest of the world, and as a trading nation and the 5th largest world economy, the UK is enormously disadvantaged by such an arrangement. Exactly! Just as the 52 US states are automatically excluded from trading how they want with 7 billion people around the world. Obviously, they’d do much better outside the USA. The 52 US states are not separate countries and cannot have separate trade agreements with countries. You really want the UK to be like a US state in a United States of Europe?! I imagine someone from Atlanta, Georgia would have put the very same question you are putting to me about the US in 1820. I think it’s fine as an idea. But that’s beside the point. The point is that if “All EU members are automatically excluded from trading on their own terms with the other nearly 7 billion people in the rest of the world, and as a trading nation and the 5th largest world economy, the UK is enormously disadvantaged by such an arrangement”, then isn’t the same true for US states, particularly ones such as Texas and California? To put it another way, the EU Member States’ degree of mutual trade integration is more than a free trade area and somewhere closer to the situation of a US state in the USA. If you think that it would be economically beneficial for the UK to undo that trade integration then you must also think that about US states. If not, why not? Because the US states are NOT countries with different languages, legal systems, histories, trading etc. Britain is. You are not comparing like with like and so your comparison is not valid. If Texas and California were separate countries with separate political governments then you would have a point. Or if you were arguing for the abolition of all European countries into one EU superstate. “Only one thing has kept the peace in Europe since the late forties and that is the undisputed strength of the United States of America and their leadership of NATO”. Well five former heads of Nato think Britain should stay in the EU and so does the US President. The argument about peace and the EU is not based on armed force, there is no European army. It’s based on economic integration; if we are economically integrated, we have more of an interest not to engage in war because it’ll hurt our prosperity. The Dutch troops in Srebrenica were there under the UN’s auspices, not the EU’s. The US President and heads of Nato think Britain should stay in the UK….quelle surprize! David – one of your recent respondents has sought to draw a comparison between the USA and the EU, in terms of the relationships and constitutions of member states. It is far from being a legitimate, like-for-like comparison, but it did occur to me that this might be a useful avenue for further study. The USA is a coalition of member states grouped together under a constitution drafted by the Founding Fathers, based to a very great extent upon protestant Christian principles. The EU is a community of member states, based explicitly upon Enlightenment aspirations of Utopianism, and dependent upon the politics of Marx and Lenin. Culturally, ideologically, there is a huge gulf between the two – which seems to me ought to be something that frames our understanding. At last some real facts on Europe! Finding this flagged as a harmful website. I didn’t. read it again. I said 10% of GDP not 10% of exports was with the EU. May I point out the simple fact that we are unable to police our borders now! What makes you think that these borders will be better protected when we leave the EU, the illegals will still get through in the backs of lorries as they do now. However I do see a few more turning up on our beaches if we pull out as the French will send those nice guards to man another border, but not before pointing the immigrants towards the nearest dingy and life jacket store! Secondly you state that we can vote our government out, but that’s not strictly true, we have to wait until the term of office is up to vote, which unless I’m mistaken has been increased from 4 years to 5 by our current tax dodging, vote rigging party in power! Yes – we can police our borders and the question is not about ‘illegal’ immigration but legal. Yes – we can vote out our government. We can’t vote out EU Commissioners. Yes – we can make our own laws – being in the EU has not stopped the current government….so not relevant to this discussion. Don’t Britons know DIVIDE and CONQURE? United Kingdom must never independent from European Union! Isn’t Russia in back of this movement? Britannia doesn’t rule the waves any more. Thanks for your comment. Who is trying to conquer us? I agree we must not be slaves – we should be free to make our own rules and free to vote out rulers we don’t agree with. That’s why we need to be an independent country again. Thanks for your remarks. I agree with your analysis on many items, even though I subsequently choose remain! Where I do disagree is that I think our current government will do a trade deal with the US that is much, much worse than TTIP turns out to be. Also, other European trade deals with the EU include an acceptance of pretty much all of the conditions of membership of the EU, so I’m not really clear what the benefit of leaving is if we then have to surrender our sovereignty without any influence at all. Let’s be honest, the EU is not going to be rolling over for us to tickle its tummy after we vote to leave. I’m so glad that you haven’t played too much on fear of the stranger, a particularly anti-Christian sentiment. However, it’s there. That’s a shame. You mention that you have no idea what God wants, which is admirable humility. But I wonder if you can imagine what the Basileia tou Theou coming in Europe would be like? Re Turkey. They want to join the EU. Resigns is however dismantling human rights in Turkey so their chance of acceptance very slim to nil. However, to get their help in setting up refugee camps in Turkey in an effort to stop the flow of people to Europe they were given a promise of visa free travel to Europe. My understanding of this is that Turkish citizens can go to mainland Europe but UK is not part of the Schengen Agreement so there is no automatic right of entry to UK for Turkish citizens. So I don’t buy this fear that we will be overrun by Turks! I would not be so sanguine….Cameron et al have made it perfectly clear that they want Turkey in soon…. Thank you so much for this article. I found it extremely helpful in reaching a decision on how to vote in the Referendum. There is so much political propaganda out there, it’s so difficult to discern how much of what is being said is actually true. As you highlighted in your article there is so much deceit out there in what is being reported. So, thank you for putting together this very comprehensive article. 1) The EU commission is not a lobbying body which can only propose laws. It is the political executive of the EU. It, and it alone, can initiate legislation. The parliament is just a reviewing legislature with very little power, other than to reject the whole thing – which they are very rarely going to do. The Queen has no political power. It is really disturbing that you do not know this and on the basis of your ignorance accuse people of being deceptive. Its not difficult to find out how the EU works – just read their own website. I would suggest that you examine these sources rather than just repeat what you read in the confirmation bias literature you have clearly read. 2) You clearly need to hear Tony Benn’s point about democracy – that it is better to live under a ‘bad’ democratically elected government that we can get rid of, rather than a ‘good’ one which we cannot. Do you so despise the people of this country that you think we cannot elect our own government? 3) Your point about the being outvoted is illogical and wrong. The question you need to ask is how many times we have disagreed with the commission, put it to the vote and won. The answer is none. 70 times we have lost but not once have we managed to get what we want against the will of the commission. Is that what you call ‘influence’? 4) No – we don’t have the right to refuse anyone entry. We are obliged by EU law to accept any EU citizen. Where do you get your ‘facts’ from? 5) You seem to know a lot about Turkey – I hope it is based on better sources than your knowledge of how the EU works! The fact is that on June the 24th there are more accession talks with Turkey about joining and that David Cameron amongst others, has expressed his desire for Turkish membership to be speeded up….in other words he has been lying – one way or the other. And you believe him! 6) Re Prosperity – No – I did not disregard the fact that we ‘get back’ about 50% of what we pay – but that is like me giving you £10 and thanking you for the £5 gift you then give me! And we don’t make up the rest in what we ‘save’ on trading (you seem to forget that trading is two way)…although it does appear that you are just making up ‘facts’ or accepting such ‘facts’ because of what you want to believe. 7) Peace in Europe ever since – must have missed the Balkans and Ukraine! I suspect that NATO has had far more to do with keeping the peace than the EU. Yes I want freedom, liberty and democracy which is why I will be voting for them. The fact that you will be voting for the EU on the basis of what you have said is profoundly depressing – because the EU is not about democracy- I question whether it will continue to be about freedom…If you really want those things in reality (as opposed to the Disneyesque fantasy) you would vote to leave! On TTIP, you you really believe that any UK government alone is likely to (even want to) negotiate a “better” agreement, whatever that may mean? If we vote ‘out’ on Thursday, then it looks like we’re effectively voting ‘in’ men like Boris Johnson, Michael Gove and (horror of horrors) Nigel Farage. In what fantasy world would these men defend any other interests than their own? In what fantasy world would they bolster the NHS (not that the current government is doing much of that, but if we vote ‘out’, we’ll be seriously diminishing the political influence of any ‘moderates’ left in the Conservative party…)? On the ‘control by distant bureaucrats’ argument, again I wonder whether things would be any better out than in. If we want to trade with the EU, we’re going to have to do business their way. And, while there are undoubtedly some EU directives that don’t benefit us, very many of them do. Time and again, our own governments have shown that they are equally capable of pushing through legislation that wasn’t on their manifesto, or that benefits only a small percentage of the population. You argue ‘well, at least we can vote for our government’. What good has that done us, recently? I did not vote for the dismantling of marriage, for example. On the question of immigration policies, we live in an increasingly globalised world. It seems that the fight for the right to strictly control our own borders and immigration regime is based on fear, or on a desire to return to the heady days of the British Empire. It also strikes me that the right to move and work freely across Europe benefits us just as much as it benefits incoming migrants. For sure, there are some people who come to this country for the perceived financial gain of claiming our benefits. But there are probably more British-born-and-bred people who also do exactly that. Certainly in my experience, the EU migrants I’ve come across have been hard-working and probably contribute a lot more to our economy than they take out. Finally: do we want to live in a society that defines itself by distrust of its neighbours, or in one that wants to live in harmony with them? Sorry for taking so long to get back to this…so much mistaken in your post. 1) The UK will not be negoiating TTIP – Obama made that clear. 2) We vote for democracy even if that means people elect people we may not like. Otherwise its not democracy but autocracy. 3) Immigration – yes its true that we live in an increasingly globalised world. So why limit ourselves to Fortress Europe?